Is Grace A Licence To Sin? Or God’s Power To Overcome Sin? Is Grace A Licence To Sin? Or Is It God’s Power To Overcome Sin? Nearly two millennia ago, the author of Jude urged those to whom he wrote to earnestly contend for the faith that was once delivered to the saints. 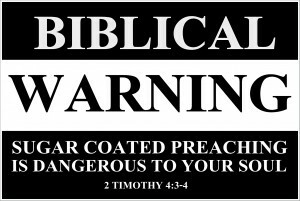 He warned them about ungodly men who’d crept in and were perverting God’s grace, turning it into a license to sin. Today, after nearly 1,700 years of claiming the law (not the charges against us for breaking it) got nailed to the cross, this demonic heresy is reaching a fever-pitch. The blasphemous lie has birthed a bastardized doctrine known to it’s detractors in the Christian Church as “False Grace.” This is why in many churches today it is considered far worse to call someone out for sin (which Scripture defines as transgression of the Law) than it is to commit sin. Joseph Prince, the senior pastor of New Creation, a mega Church in Singapore, is famous (infamous) for assuring his itchy-eared congregation that God would be unholy if he punished a believer for sin. Prince assures them that because Jesus was already punished for sin, all sin (past, present, and future), God would be “unholy” were He to punish them, which is why there is now no more condemnation. The False Grace Doctrine teaches that since Christians are saved they are exempt from the penalty of sin and, therefore, certain parts of the Bible no loner apply. They’re exempt, removed from any responsibility to be holy. While searching on the net for information on this False Grace movement, I came across a very disturbing article written by a millennial named Phil Drysdale (PhilDrysdale.com). Based on the title of his article, “The 3 Most Dangerous ‘Grace Movements’ In The Church Today & How To Spot Them,” I foolishly assumed it would expose False Grace. But it didn’t. It exemplified it. Easy? Really? Tell that to Timothy, who was poured out like a drink offering, to Paul, who was thrown into prison, to John who was exiled on the Isle of Patmos. Young Phil must not read the same Bible I read. Here, copied from his website, are the signs that you are in a church where “false grace” is taught, according to Phil. The Christian life is all about getting closer to God. We must become hungry and aware of how much we lack God so that we can press in with prayer, fasting, and trying to be holy – so that we can start to grow closer to God. Is focused upon a growth towards God that comes from striving. Believes God’s presence shows up when we corporately please Him with our worship, prayers, and fasting. But is that what Scripture teaches? If you think faith is just believing–a purely mental activity with no action required–then PLEASE read my article “What Is Scriptural Faith?” Now, before we delve into what the Bible actually says about God’s grace, I want to share a poem written by Dr. Paul Brown during the Brownsville Revival. God loves me and God loves you! God’s not angry; He’s not mad. There’s no hell and there’s no wrath. So don’t you fear, just do your best. Judgment Day won’t be a test. God sees your heart and that’s enough. The Judgment Seat won’t be that tough. Or take that smile off His face. He’ll treat you like you think He should! Just trust me, sinner, to the end. My name is Satan, and I’m your friend. Now let’s see what Scripture actually teaches about grace. God’s grace makes us sufficient to abound in good works. God’s Grace provides us help. “Therefore, let us draw near with confidence to the throne of grace, that we may receive mercy, and we may find grace for timely help. God’s Grace allows us to serve Him with reverence and awe. God’s Grace empowers us to patently endure suffering. “My grace is sufficient for you, for My power is perfected in weakness”. In closing, let’s remember that we keep God’s law, not to be saved, but because we are! We keep it, even the big ten, to show Yeshua our love, for he said, “If you love me keep my commandments.” And we know that Yeshua’s commandments are His Father’s commandments, for Yeshua came only to do the Father’s will. If we say that we have fellowship with Him, and we walk in darkness, we lie and are not practicing the truth. But if we walk in the light, as He is in the light, we have fellowship with one another, and the blood of His Son Yeshua the Messiah cleanses us from all sin. If we say that we have no sin, we deceive ourselves, and the truth is not in us. If we confess our sins, He is faithful and righteous. He will forgive us the sins, and cleanse us from all unrighteousness. Romans 8: 1-4 is the really good news . . . There is therefore now no condemnation to those in Messiah Yeshua, who do not walk according to flesh, but according to the Spirit. For the Law of the Spirit of life in Messiah Yeshua set me free from the law of sin and death. For what the Law could not do, in that it was weak through the flesh, God sent his own Son in the likeness of sinful flesh, to condemned sin in the flesh, so that the righteous requirements of the Law might be fulfilled in us, who walk not according to the flesh but according to the Spirit. In His own time God opens people’s minds. We can understand scriptures only by revelation. The gospel is good news and there is no bad news in the good news. If God is LOVE (1 Cor 13) He cannot be the monster some people believe in who punishes. Some may be shocked to learn that the word “hell” only appears in MIStranslations of the scriptures. Why is salvation not preached as a narrow gate anymore? How many pastors are leading their flocks down the broadway and straight into the flames of hell? Wake up church! Your wedding garments have become soiled and your bridegroom is at the door. If there is anything the people of God need now is truth. The god of christianity is so perfect today that u can hardly identify errors within but the truth will always prevail. Thank u.